Vatican City, Apr 18, 2018 / 03:50 am (CNA/EWTN News).- On Wednesday Pope Francis said that to make the sign of the cross is to mark ourselves as Christians, and that it is something we should do often to remind ourselves that we belong to God. “The cross is the badge that shows who we are: our speaking, thinking, looking, working [we are] under the sign of the cross, that is, the love of Jesus, to the end,” the pope said April 18. Pope Francis spoke about the sign of the cross during the weekly Wednesday general audience in St. Peter’s Square. “In fact, what happens in the celebration of Baptism arouses a spiritual dynamic that passes through the whole life of the baptized; it is the beginning of a process that allows one to live united to Christ in the Church,” Francis stated. For this reason, the pope explained the process of the Baptismal Rite, which he said begins with the welcoming rite, when the priest or other celebrant asks what name is of the person to be baptized. “God calls each one by name, loving us individually, in the concreteness of our history,” he said, explaining that in a Baptism we use the person’s individual name because God’s call is “personal” and not a “copy and paste” situation. “In fact, Christian life is interwoven with a series of calls and answers: God continues to pronounce our name over the years, making his call to conform to his Son Jesus resound in a thousand ways,” he said. “So, the name is important!” he continued, urging parents to choose the name of their child carefully, even before the child is born. Francis also noted the importance the sign of the cross plays in the Baptismal Rite, like in the Baptism of children, when the parents and godparents express the desire for the sacrament on behalf of the child, demonstrating it through the sign of the cross traced on the forehead of the child. “The sign of the cross expresses the seal of Christ on the one who is about to belong to him and signifies the grace of redemption that Christ has acquired for us through his cross,” he said, quoting from the Catechism of the Catholic Church. He also explained the way adult catechumens are marked with a cross, on each of the senses. “Christians become the extent to which the cross is imprinted in us as an ‘Easter’ mark, making visible, even outwardly, the Christian way of facing life,” he said. Vatican City, Mar 14, 2018 / 01:05 pm (CNA/EWTN News).- A Vatican office has acknowledged blurring portions of a letter written by Benedict XVI regarding Pope Francis’ philosophical and theological formation, the Associated Press reported Wednesday. 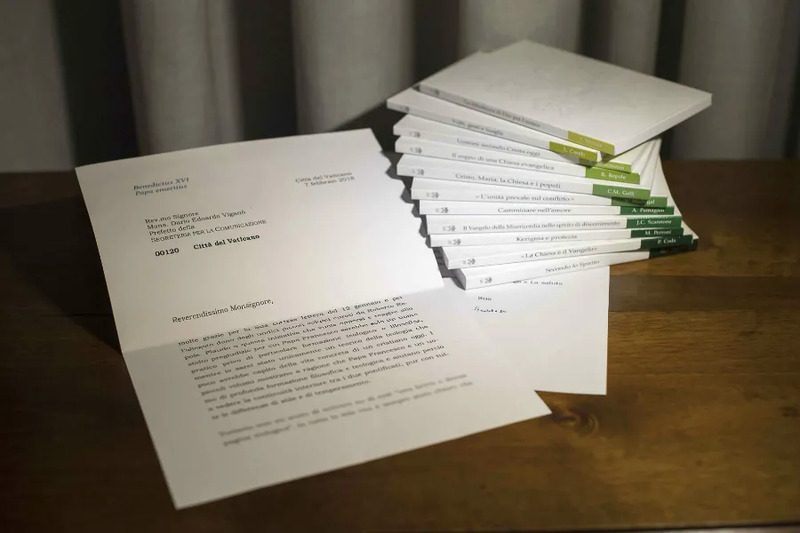 The text shows that Benedict’s letter, dated Feb. 7, was written to acknowledge receipt of the gift of a series of 11 volumes on “The Theology of Pope Francis,” and to respond to a request that the Pope Emeritus write a theological reflection on the books. Though it was written in early February, the letter was not released by the Secretariat for Communications until mid-March when the book series was released, on the eve of the anniversary of Pope Francis’ election as Bishop of Rome. The secretariat’s press release quoted portions of the letter praising the booklets, but did not include Benedict’s admission that he has not read them in full. The letter was presented at a press conference announcing the series of booklets on Pope Francis’ theology. 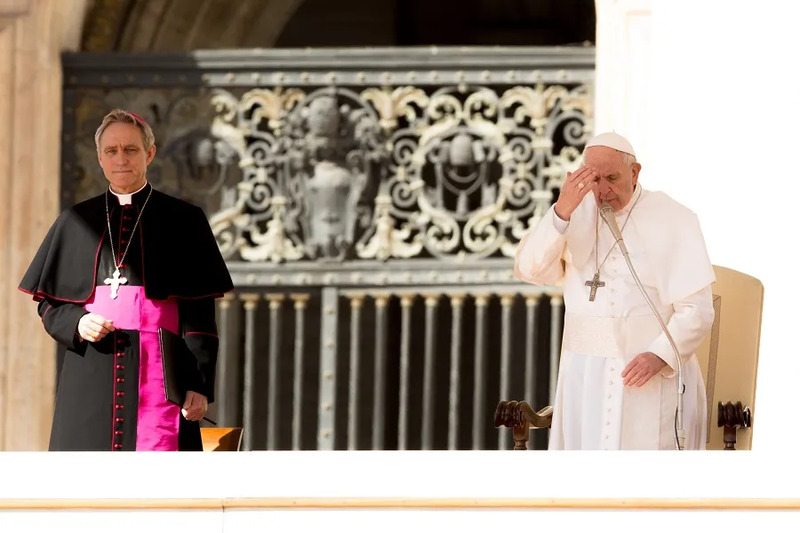 The prefect of the communications secretariat, Monsignor Dario Viganò, read portions of Benedict’s letter at the press conference, “including the lines that were blurred out”, the AP reports. The portion of the letter which was blurred out is the beginning of Benedict’s explanation that he has not in fact read all the volumes which were sent him. 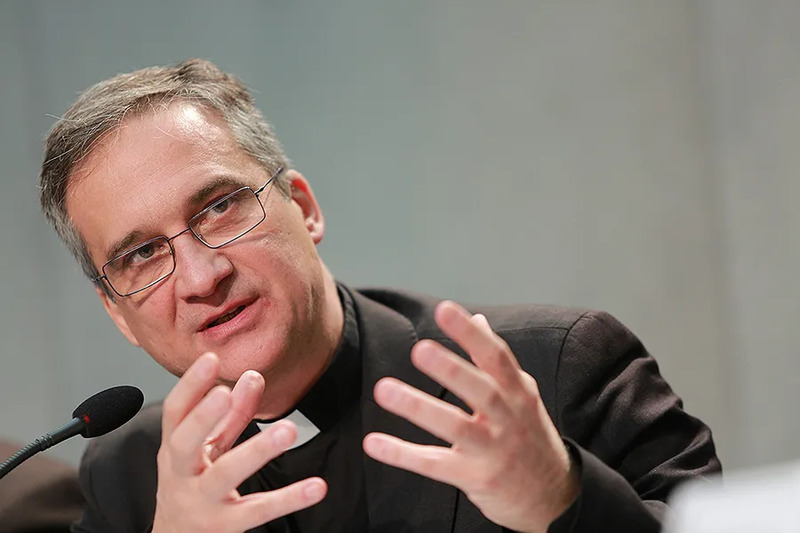 The secretariat was formed as part of Pope Francis’ reform of the Roman Curia, and is meant to consolidate the Vatican’s media arms and to increase their presence among digital platforms. The secretariat oversees all of the Vatican’s communications offices, including Vatican Radio, L’Osservatore Romano, the Vatican Television Center, the Holy See Press Office, Vatican Internet Service, the Vatican Typography office, the Vatican’s Photography Service, and Libreria Editrice Vaticana. Vatican City, Oct 18, 2018 / 03:56 pm (CNA).- The 2018 Synod of Bishops has elected a group of eight participants to begin drafting a message from the synod to the youth of the world.